A week after Seven and Nine were locked in battle on Monday and Tuesday nights of the first week of survey, Seven has steadied the ship in week two with a clear Monday victory. Seven climbed back to a 25% primary share, over three points ahead of Nine. Seven also posted a clear combined channel share win, over five points ahead of Nine. Nine however managed to rank #1 in Melbourne, with Seven leading across the four other metro markets. My Kitchen Rules delivered again for the network last night with an average metro crowd of 1.36m, which is its best Monday audience this series, although two of the three previous Mondays have also been over 1.3m. Helping lift the numbers was the “cheating scandal” that involved the use of a jar of curry paste. The Queensland couple of Alyse and Matt were going along nicely until busted which resulted in scores of one out of 10 from both judges for their beef satay main course. Both desserts however scored an eight while their entrées received an eight and a seven. Their total of 52 out of 100 puts them into a sudden death cook-off on the show tonight. Earlier in the night Home and Away started the week well on 809,000 after an average of 739,000 last week. Bride and Prejudice followed the home cooks with 731,000 watching after a drop to 636,000 last week. A Current Affair started the week well, winning its timeslot easily with 903,000 with a story of an AFL footballer calling for the return of his deported dad. 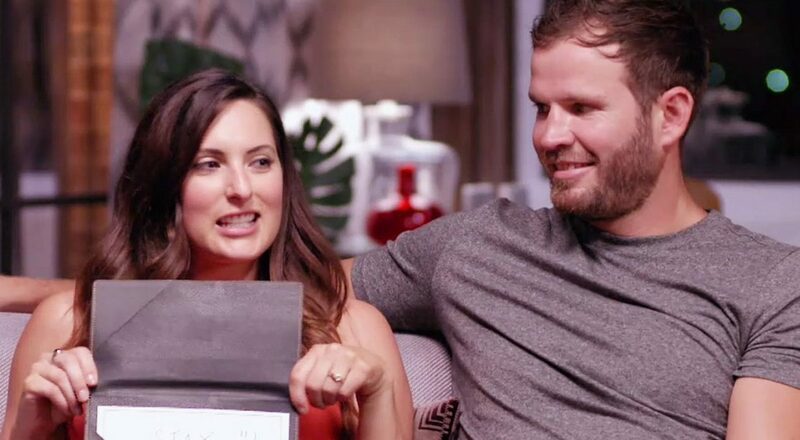 Married At First Sight might not have equalled the crowd that gathered to watch MKR, but it still pulled a very handy 1.09m, which was down a little week-on-week, but up on the first two Mondays for the series. The Monday 1m+ crowd also starts off its new week well after the show managed to crack 1m every night last week. House Husbands then did 640,000, which is bang on where the drama was last week. All reality shows stars delivered for their networks in different ways last night and I’m A Celebrity…Get Me Out Of Here! was no exception. The Monday episode was just over 750,000, which was well up on last week where the Monday audience fell below 700,000. The Project did 571,000 last night, which included a look at the New Zealand version that launched on Three last night. The Aussie hosts were joined by the NZ hosts and also co-creator Rove McManus who was a guest on the first NZ episode. The second week of Whose Line Is It Anyway? on FTA did 278,000 after launching with 322,000 a week ago. Australian Story is having a slower start to the year with 544,000 after 606,000 last week. This week the series featured singer-songwriter Melody Pool and her experience with depression. Four Corners did 478,000 (647,000 last week) with reporter Matt Brown covering the battlefields of Iraq. Media Watch was down 100,000 week-on-week to 561,000 with The Daily Mail, fake news and Seven West Media among the topics. Q&A featured a robust debate with 541,000 watching, which was the same number on board a week prior. Michael Mosley: Trust Me I’m A Doctor was on 199,000 at 7.30pm. A repeat of Greece With Simon Reeve did 178,000 while after 9.30pm Undressed managed just 57,000.